Edmondson Hall frequently participate in a variety of events and functions to support local charities. 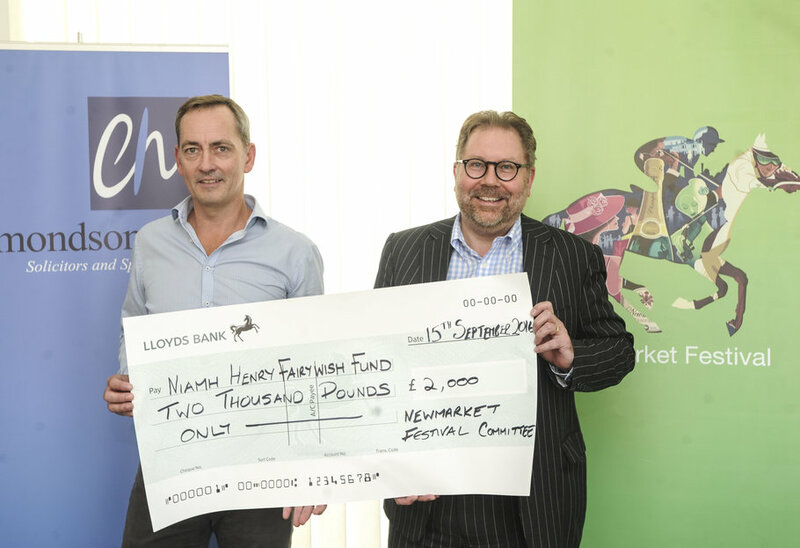 Now in its ninth year, the Newmarket Business Day at the Rowley Mile Racecourse in Newmarket is a concept devised by Mark Edmondson that sees all races on the card sponsored by local businesses. As well as enjoying an afternoon’s racing for their staff and guests, the sponsors hold a number of fundraising events on the day and have so far raised in excess of £4,500 for East Anglia’s Children’s Hospices. 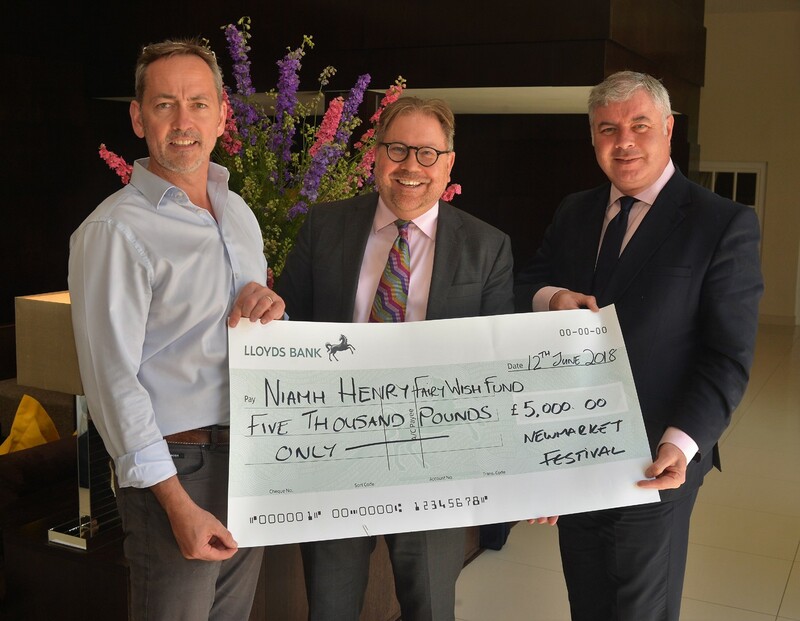 Edmondson Hall CEO Mark Edmondson and Noel Byrne CEO of the Bedford Lodge Hotel and Spa presenting £5000 to John Henry of John Henry Group on behalf of the Niamh Henry Fairy Wish fund. Edmondson Hall supports local artists and currently has a number of pieces on display at expanded offices. We have also hosted successful Gallery Evenings, giving our guests the opportunity to meet the artists and discuss their work. 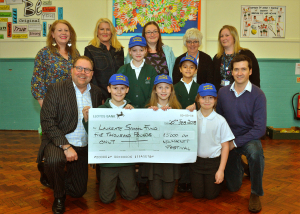 Through generous donations from the artists out of their sales, we have raised hundreds of pounds for Racing Welfare and Injured Jockeys Fund. 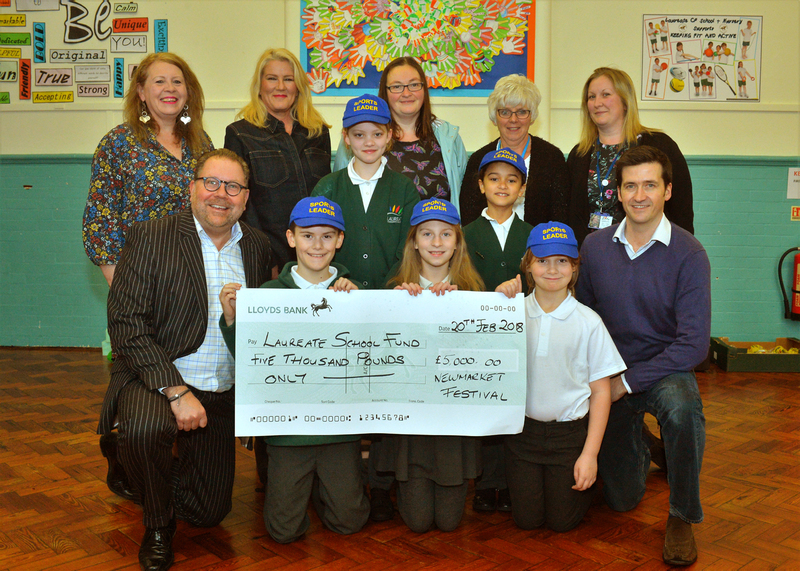 In addition to the above, Edmondson Hall are regular contributors to events such as Racing Welfare Carol Concert and Newmarket Open Weekend and are enthusiastic sponsors of Newmarket Rugby Club, Newmarket Town Football Club and their Under 12’s team. 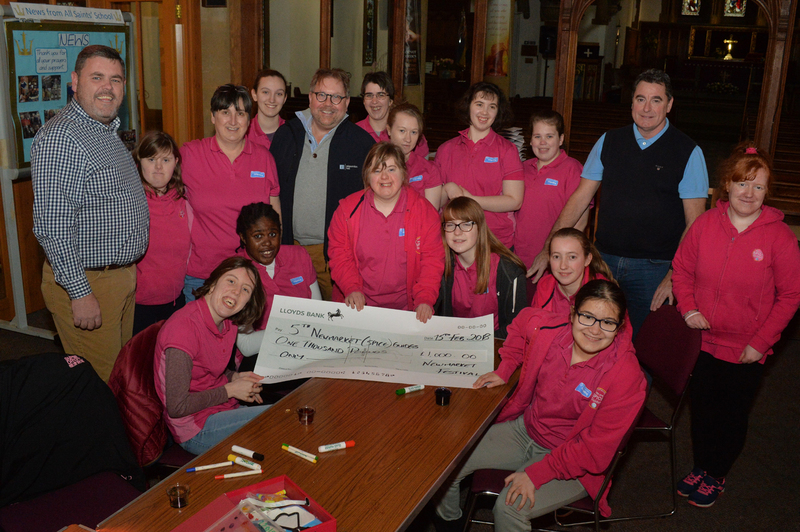 We have also recently made donations to Macmillan Cancer Support and the Newmarket Branch of the MS Society.